The G.O.A.T. shared her thoughts on Colin Kaepernick among other things. Serena Williams is gracing the cover of TIME and opening up about everything from motherhood to her return to tennis. She also took time to share her thoughts on Colin Kaepernick and the ongoing NFL protests. Williams is currently preparing for the U.S. Open in NYC. The tournament is her chance to tie Margaret Court’s all-time record of Grand Slam singles wins. She put breastfeeding first despite advice from her coach. “You have the power to sustain the life that God gave her…You have the power to make her happy, to calm her. 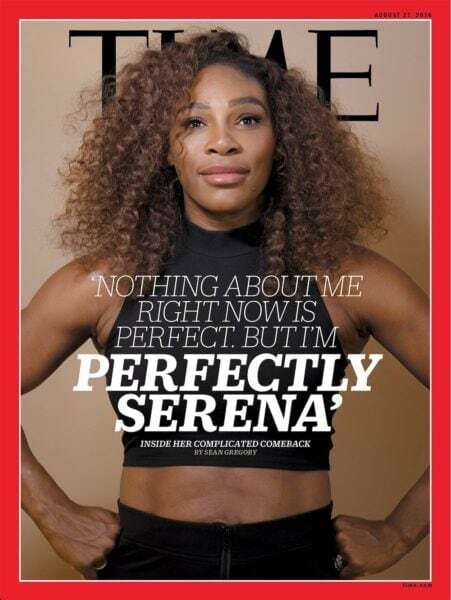 At any other time in your life, you don’t have this magical superpower,” she says before recalling her coach Patrick Mouratoglou telling her she should stop nursing to help her tennis game.